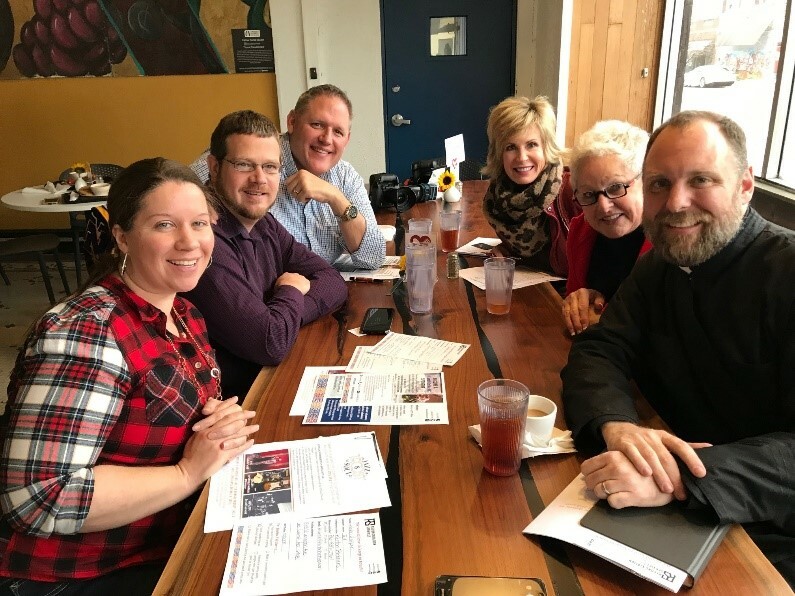 Part of the KB team went on a field trip this week to visit Father Justin Mathews, Executive Director of Reconciliation Services at 31st and Troost. Since Kenton Brothers’ move from the Crossroads to the East side of Kansas City, we’ve been seeking an organization to partner with to develop our community relationships. 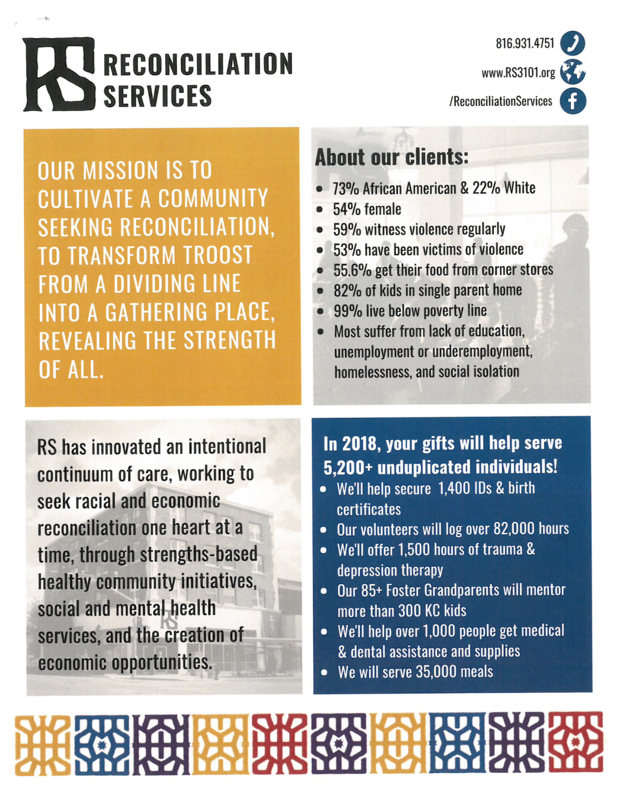 We found Reconciliation Services to be an incredible organization doing powerful work in the heart of Kansas City. We learned about the racial and economic division that Troost Avenue symbolizes in our city’s history. Their website reports that Kansas City is one of the top five most economically and racially segregated cities in America according to a recent study. 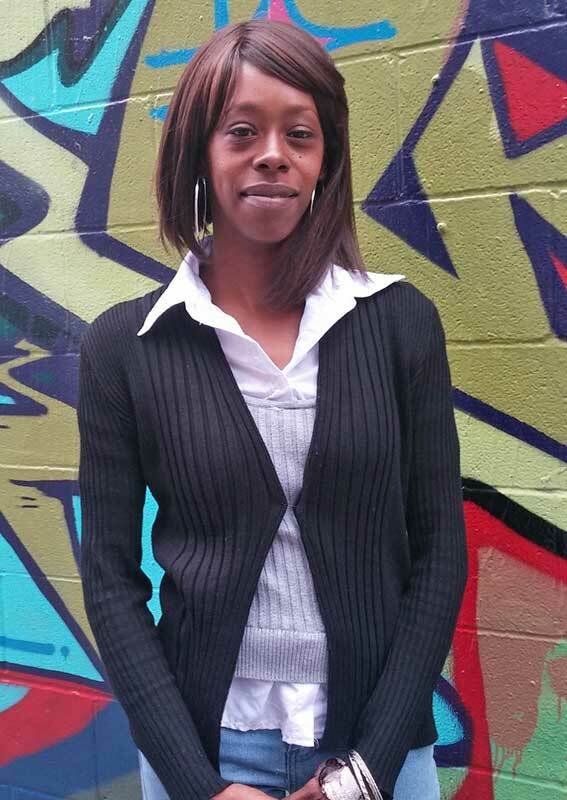 In Kansas City, 23% of African Americans live below the poverty line compared to only 6% of whites. While these disparities have been persistent, they need not be permanent. Last year, RS staff and hundreds of volunteers worked together to build relationships and care for 5,150 men, women, and children living in poverty, mostly on the east side of our city. 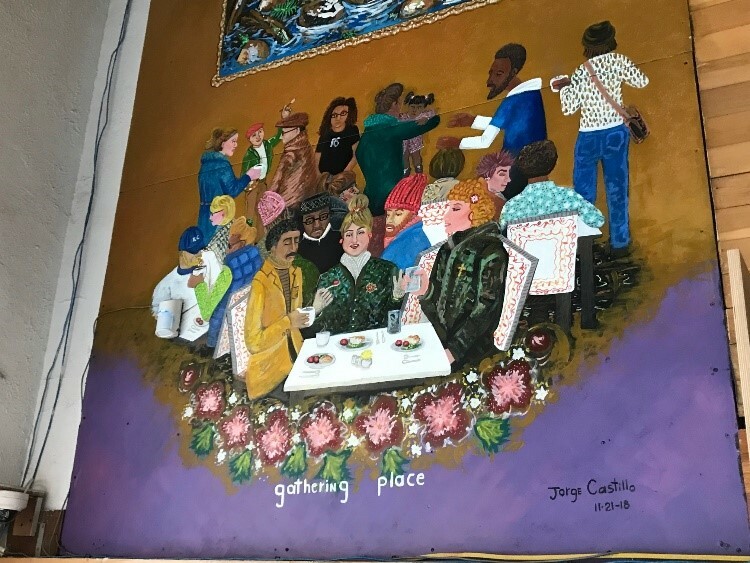 Since the 1980’s Reconciliation Services’ goal has been to transform Troost from a dividing line into a gathering place, a place of healing and comfort. A place where guests, volunteers, and staff can come and find their strength. 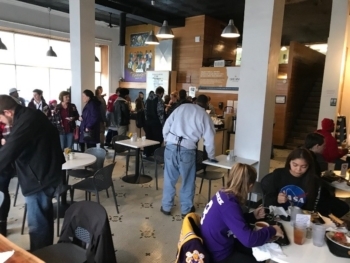 We enjoyed lunch at Thelma’s Kitchen – the first ‘donate what you can’ café in Kansas City. 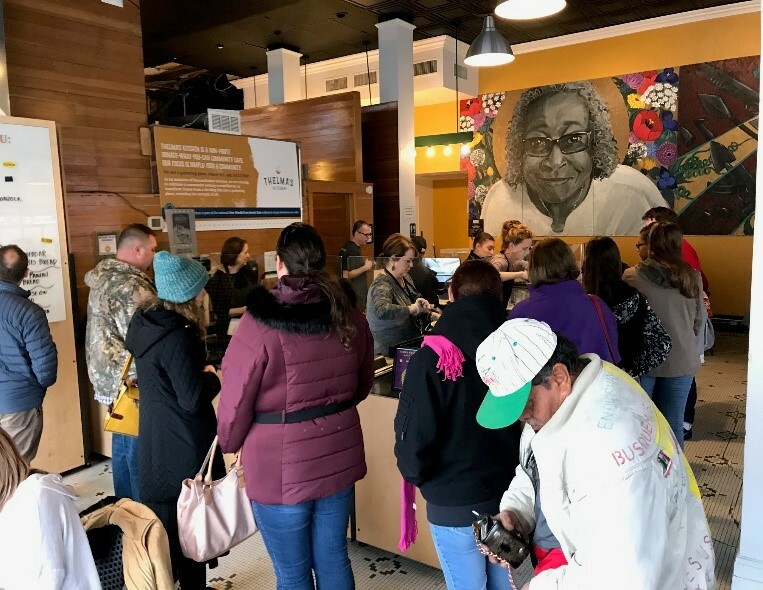 Thelma’s Kitchen was created to meet the need for affordable, high quality, nutritious food access and to bring people together as a community gathering place. 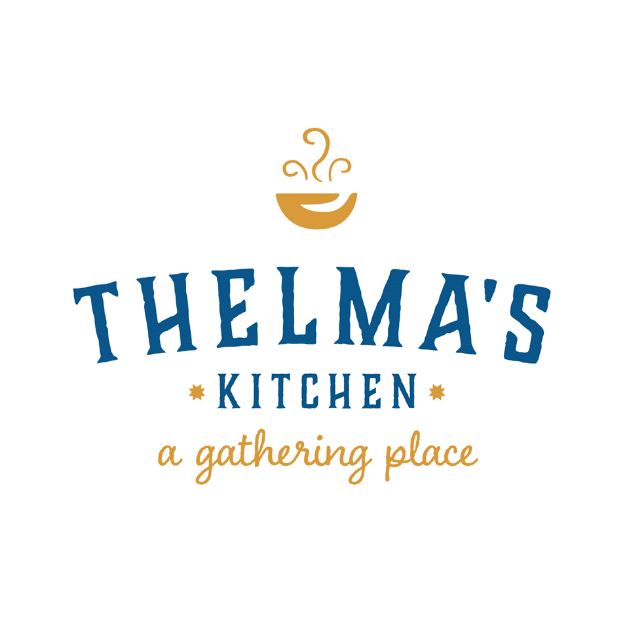 Thelma’s Kitchen is an alternative lunch spot for every category of people, working, non-working, students, and families to enjoy a great meal in a caring atmosphere and donate whatever payment your heart directs you. 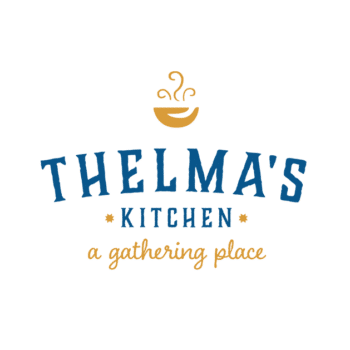 I’ll be returning to Thelma’s to host some of my business lunches – and in lieu of paying a national chain for a lunch meal, I’ll donate that money to Thelma’s Kitchen, a community organization to help be a part of the change for good in our neighborhood. What a great concept! 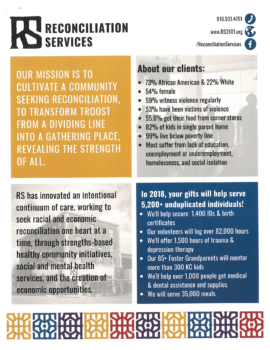 There are a variety of ways, we as business leaders can collaborate with Reconciliation Services to affect positive change in Kansas City. In addition, they offer an entire continuum of care including social services, mental health services and economic building services to build social and financial community capital. https://kentonbrothers.com/wp-content/uploads/2019/01/Restoration-Services-01.png 629 629 Gina Stuelke https://kentonbrothers.com/wp-content/uploads/2017/10/Kenton-Brothers-Logo.jpg Gina Stuelke2019-02-13 06:00:272019-02-25 12:25:03Thelma’s Kitchen - the first ‘donate what you can’ café in Kansas City. How Chief of Staff is Helping Kenton Brothers Hire the Right People. I’m sure many of you have faced the day-to-day challenges of sifting through countless resumes, phone interviews, and face-to-face interviews. That’s a lot of work to end up with a candidate who is not qualified, or has represented themselves inappropriately throughout the interview process and they aren’t a good fit for your organization. Then you get to start all over again! This process is painful, and a bad hire can impact company morale as well as productivity. Kenton Brothers turned to Chief of Staff for help with some recent staffing solutions to avoid this time consuming, and sometimes disheartening process. Chief of Staff was founded by Jessica Underwood, an entrepreneur that has 10 years of experience in the recruiting industry. It’s a woman owned business that specializes in permanent placement, temporary and temp-to-hire solutions. They offer a more personal approach than your traditional staffing company and truly seek to find the right quality candidate for your organization’s needs. After spending months on the hiring process for an Inventory Control Specialist and an AP/AR Specialist (and having several failed attempts), Chief of Staff came to the rescue with two fantastic applicants that will be joining the Kenton Brothers team soon! 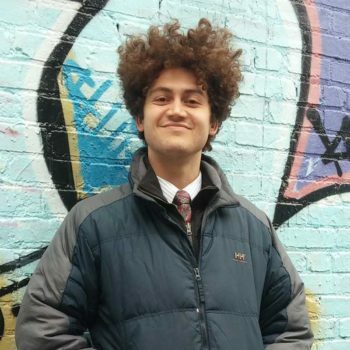 Zach has brought a fast learning curve and positive attitude to the KB team and we are so excited about all the new and upcoming opportunities and ideas he is bringing to enhance our company inventory! Kimbren’s can do attitude and heads down work ethic have made her instrumental an instrumental part of our Accounting team! If you need help finding a good fit for your team, reach out to Chief of Staff. You’ll find a team of professionals that are devoted to finding the right staffing solutions for your business! https://kentonbrothers.com/wp-content/uploads/2017/01/2017-01-25-Chief-of-Staff-Logo-Featured.jpg 300 400 Kristen Harper https://kentonbrothers.com/wp-content/uploads/2017/10/Kenton-Brothers-Logo.jpg Kristen Harper2017-02-14 14:38:092018-02-06 09:21:06How Chief of Staff is Helping Kenton Brothers Hire the Right People.